Syeed Murfad Shah’s father Imzad Hussain Shah said, “The CRPF personnel should not have shot him dead... he had no militant links. Even if he did barge into Farooq Abdullah’s house, he was unarmed. The guards could have easily overpowered him. CRPF personnel on Saturday shot dead a man who rammed his vehicle through the VIP gates of the Jammu residence of former Jammu and Kashmir chief minister and National Conference MP Farooq Abdullah. Identified as Syeed Murfad Shah, the son of a retired forest official at Mendhar in Poonch district, the 25-year-old had been a gun dealer until at least six years ago. Police sources said that around 10 am on Saturday, Shah, driving an SUV, hit the gate on the side of the house, taking CRPF personnel on duty by surprise. Only the Abdullahs usually use this gate and since neither Farooq Abdullah nor his son Omar were home, most of the CRPF personnel were deployed at the main gate — used by visitors, party leaders and even government officials. As the vehicle barged through the gate and entered the lounge, a duty officer and a CRPF personnel tried to stop Shah, but he reportedly pushed them aside and ran towards the lobby. The sources said he allegedly broke windowpanes and ransacked the lobby, after which he started climbing the stairs to the upper floors. It was then that CRPF personnel opened fire, killing the intruder on the spot. They said Shah was unarmed and they found nothing incriminating on him. Director General of Police S P Vaid told the media that the district SSP had been asked to find out more about Shah. Inspector General of Police (Jammu zone) S D Singh Jamwal confirmed that Shah had a scuffle with CRPF personnel before being shot dead. 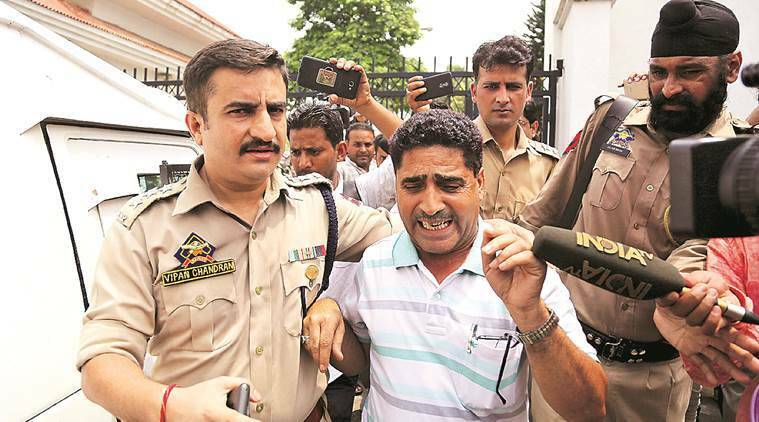 Shah’s father Imzad Hussain Shah said, “The CRPF personnel should not have shot him dead… he had no militant links. Even if he did barge into Farooq Abdullah’s house, he was unarmed. The guards could have easily overpowered him. “ He added Shah had gone to the gym in the morning. Police sources said Shah hit two vehicles in the Channi Himmat area before ramming his vehicle into Abdullah’s residence. The state government has ordered a magisterial inquiry into the incident. Sources said that until about six years ago, Shah had been running a gun house in Mendhar town but later shifted to Chinore, on the outskirts of Jammu city, with his family. As former Chief Minister and National Conference president, Abdullah enjoys Z-Plus security. There have been attempts on his life when he was chief minister. Meanwhile, the state unit of the BJP has sought the “immediate release” of the CCTV footage of the incident at Abdullah’s residence. Party spokesperson Anil Gupta said Shah’s family believes it is a “fake encounter” and that the man was called to the ex-CM’s residence.